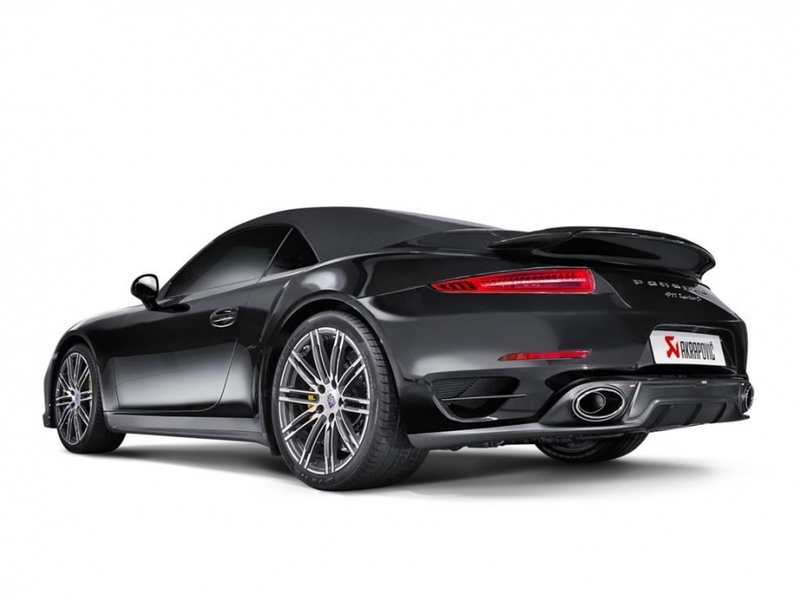 Akrapovič, the Slovenian exhaust specialists, has taken the car that Porsche considers its “benchmark”—the 911 Turbo and Turbo S (991)—and created an exhaust system to boost the performance of this stunning car to even higher standards. The latest generation of the 911 Turbos are cars that Porsche regards as the pinnacle of what’s possible, but Akrapovič has stretched the limits even further by developing an exhaust that’s lighter, is more powerful, and adds extra visual appeal to these already beautiful machines. 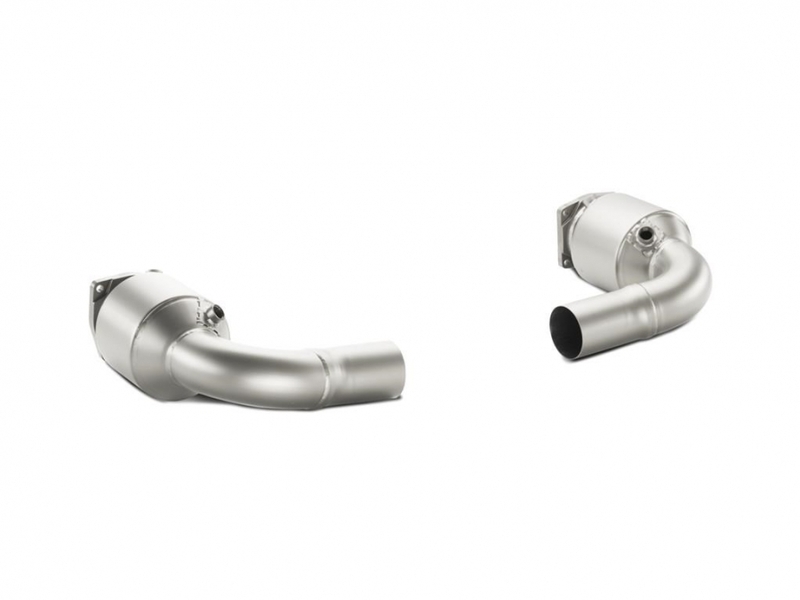 The Akrapovič Slip-On Line for the Porsche 911 Turbo and Turbo S is the first stage in the exhaust tuning process. Made from a high-grade titanium alloy and finished with exquisitely handcrafted carbon fibre and titanium tailpipes, the Slip-On Line reduces weight to aid handling. The system will also increase power and torque levels while improving the flow of exhaust gases to improve performance, at the same time meeting EC type approval. This visually striking upgrade has a deep and unique sound that Akrapovič’s sound engineers have created to make these cars stand out even more. The Slip-On Line can also be used in conjunction with the optional Akrapovič link pipes—with or without cats—which can be added to the system to take the performance to another level. Made from titanium and designed to produce a better and smoother exhaust flow, the Akrapovič link pipes with 100 cpsi high-flow catalysts are the next step in the tuning process and can easily be installed with the Slip-On Line system. Along with an even further improvement in performance, the 911 Turbos are further enhanced by the unique sound the Akrapovič engineers have produced. The distinctive roar from this superb boxer twin-turbo engine gets noticeably louder and offers a fuller, more rewarding sound as the revs rise, without creating any uncomfortable noise in the cockpit. When used in conjunction with the Slip-On Line, the combination of the link pipes with cats and the Slip-On system highlights the exceptional character of the Porsche Turbo engine. Also available is an optional titanium link pipe set without cats. 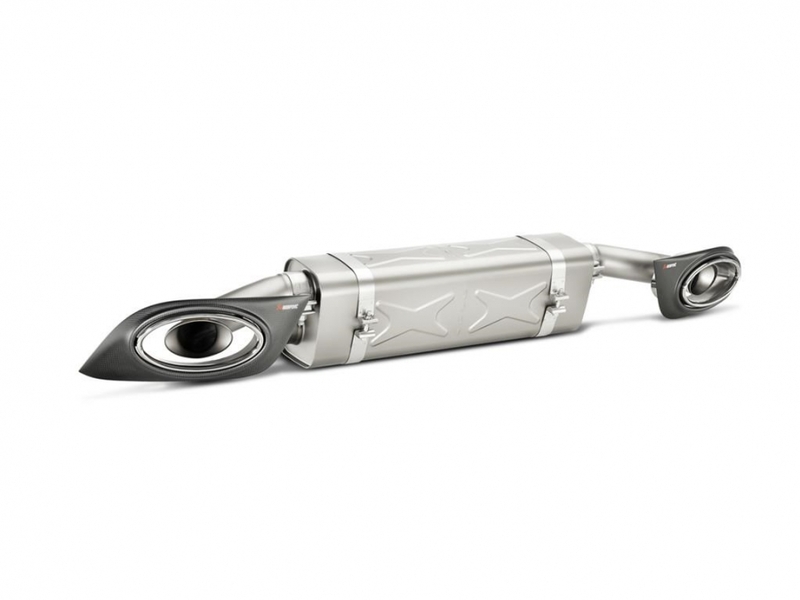 It’s designed to produce the best exhaust flow and offers a huge weight saving over stock. The link pipes without cats will increase power and give the car a sporty racing sound. Enhancing the tuning possibilities of these superb cars even further, the link pipes are an easy-to-install performance upgrade for the Slip-On Line system. Akrapovič has developed the Delete-R unit, which eliminates the possibility of engine check error codes due to upgrading to an Akrapovič exhaust system with the link pipes and improved emissions flow that this creates. It is to be used in conjunction with the car’s standard ECU settings, creating and offering maximum enjoyment for the driver. To complete the overall quality of the Slip-On Line system and both versions of the link pipes, they’re finished with a coating to provide greater durability without altering the look of these superb performance products. 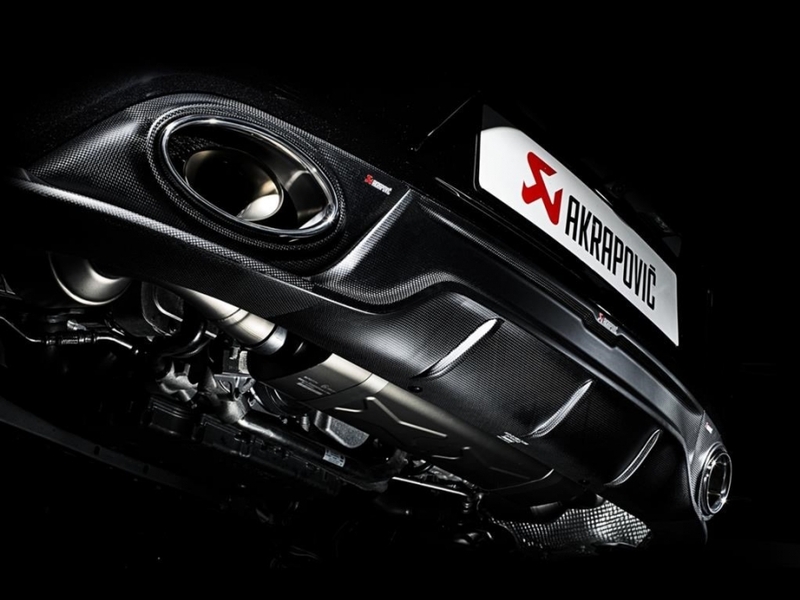 To further enhance the beauty of the car, Akrapovič has created a stunning hand-crafted carbon fibre rear diffuser that shows off the Akrapovič Slip-On line system’s tailpipes to their full extent. Designed exclusively for the Porsche 911 Turbos, this beautiful accessory is a work of art that would look just as good hung on the wall as it does attached to the perfectly proportioned rear of the car. A Porsche Turbo-powered car fitted with an Akrapovič exhaust system is a joy to all the senses and pushes the benchmark of what can be achieved even further, making one of the world’s best cars an even greater performer.